Traveling sheets, plain and Howell. 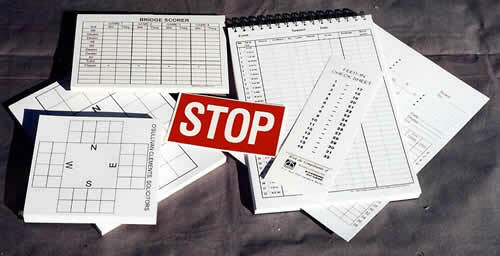 Bidding pads and bidding sheets suitable for using with plastic trays. Table slips, and feed in check sheet. Personal scoring books, teams and pairs. Please get in touch for prices and how to buy. Bridge stationery. Bidding pads, Traveling sheets, stop cards. personal score books etc.